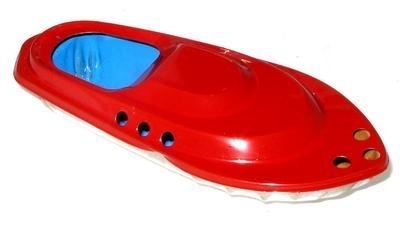 River Cruiser Pop Pop Boat - Red. A quality Pop Pop Boat with bright shiny paintwork. Hand Painted "Fish" Pop Pop Boat - Blue.